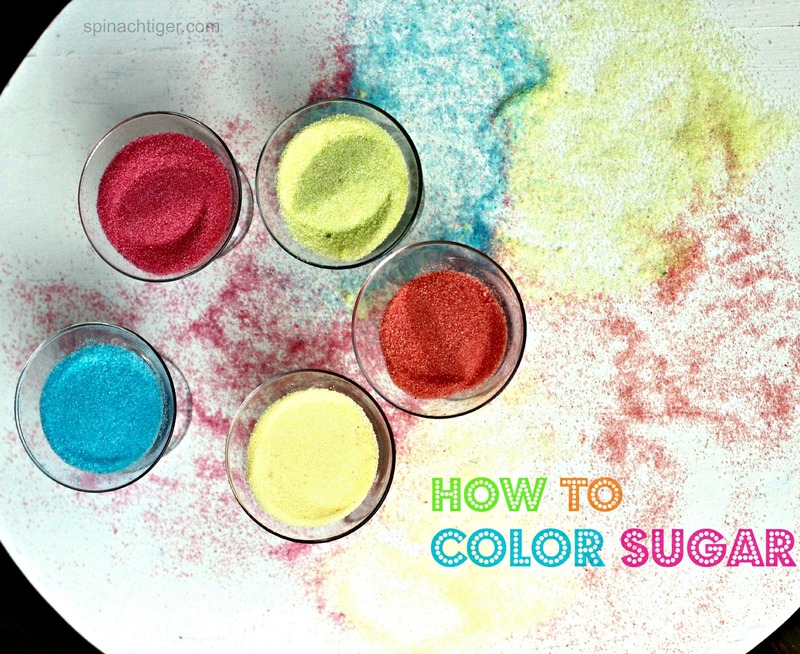 Coloring sugar when you need a little bit for fun or decorating. Put food coloring into baggie and add sugar. Fold bag to close getting all the air out. Using hands, smoosh the sugar all around until it has the color you want. Lay it out on a plate. It will dry right away. I used neon food coloring for this shade of green. Experiment to see what you like.